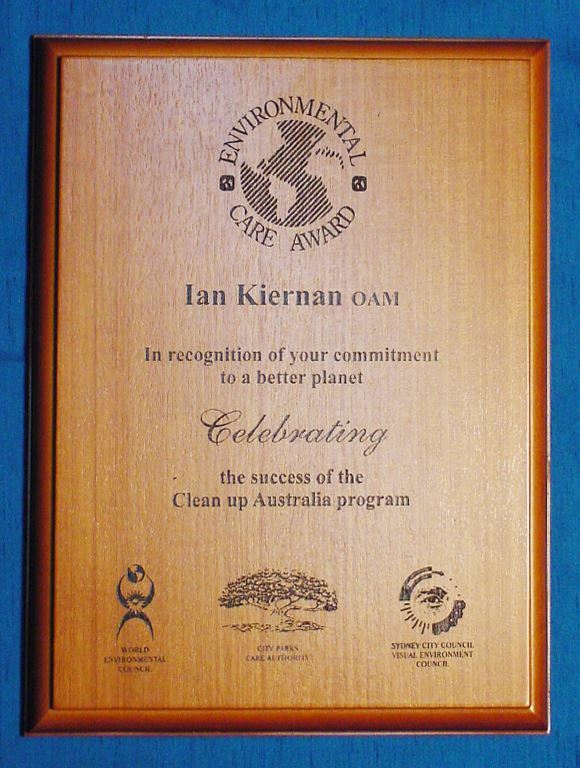 Solid Tasmanian Oak Timber Plaques with quality laser engraving directly into the timber surface. Quality Guaranteed - We take pride in our workmanship & ensure your Plaques are Spot on. On Time Every Time - Deadlines are Deadlines; We never miss them! For our sales team who follow your order through for you to our art department who do their best to create interesting attractive and contemporary graphic work through to our production craftspeople we work together to ensure your plaques are exceptional quality and delivered correctly on time everytime. We send you an art proof to approve usually the next business day to placing your order so you get to see what we have created for you before we proceed with imprint of your plaques. This way you know exactly what you are getting and you can check the type for perfection. Our Design work sets us apart from the rest. At Premier Awards we only employ diploma certified professional graphic artists and we create cool designs that stand out in the crowd. Just look at the design work of our plaques product examples. We take ordinary and make it extraordinary no matter what the budget. We truly love creating exceptional design work to delight our customers. Add your selection to “My Favourites"
Upload your engraving/imprint details or send them to us later. If you prefer to get a solid quote or discuss the order with us before committing to buy, then simply select the PAY LATER option and we will pander to your needs. Premier Awards offer an extensive range of quality contemporary style plaques for your every award needs. Most of which are unique designs exclusive to Premier Awards. We produce thousands of plaques for award and recognition for achievement, Authorised Dealer Plaques, safety record plaques, ceremony plaques and graduation plaques. Plaques are made with a wall hanger on the back for wall plaque mounting. Some come with option stand. We produce acrylic plaques, metal plaques, glass plaques and timber plaques and most come in a variety of standard sizes. We can also create other sizes if required and we can custom make plaques to your specification. Changing from standard size and custom made may cost a little more. Imprint methods encompass all facets of engraving and full colour printing. With our high quality imprint equipment we can produce any image onto any substrate. Photographic print and high end graphics are all possible with our production capability. Your plaques come standard carefully wrapped but we do offer presentation boxes or pouches if required. All plaques come with wall mount fittings and some come with stands as well. We do have a range of plaques stand solutions available if you want your plaques to be free standing. You can see the various options in our display accessories page. This product comes with the option of changing the plate colour. You can choose Gold, Silver, Bronze, White or in-fact, any colour (Other Colour). If you choose other colour make sure you let us know in the product notes which colour you would like. We can closely match any pms colour.